Prairies were one of the ecologically richest landscapes on earth but are now one of the most globally impacted and threatened biomes. Across the world, less than two percent have been permanently conserved. Numerous species and ecological functions have been dramatically reduced and are imperiled. 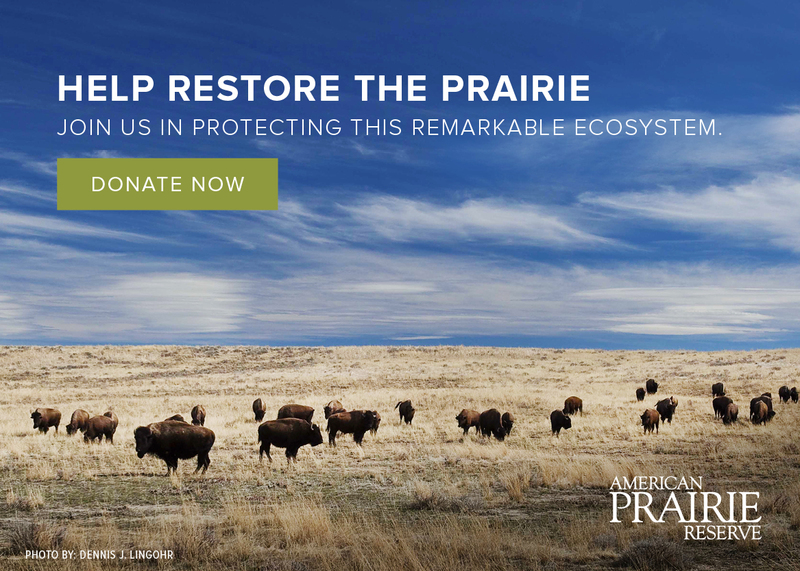 American Prairie Reserve aims to restore a complete and fully functioning prairie ecosystem, the largest of its kind in North America. This is critical to securing long-term conservation of our grasslands. We also aim to restore the natural abundance of species in the region by we relying on sound science. Our approach is rigorous, collaborative and action-oriented. Learn about our approach to Reserve management, which is based on and assessed by the Freese Scale for Grassland Biodiversity. Rebuilding wildlife populations means providing resilient and rich habitats where animals can move and thrive. In addition to our growing herd of bison, see what other animals are at risk and what’s being done to help grow wildlife numbers. Find more detailed information about our restoration efforts, including graduate research and studies conducted in the region. Help our land and wildlife goals by conducting research on the Reserve, volunteering, and joining the Landmark adventure science program. We’ve gathered answers to the most frequently asked questions about the Reserve’s wildlife and restoration work. Find bison-specific FAQs here.